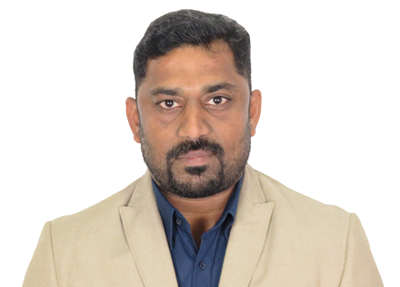 Elaiyalwar Seenivasan (“Sri”) is the Managing Director of Refulgence Inc, founded on 7th April 2004, in Singapore. He is an energetic person with great charisma; under his leadership Refulgence Inc has been travelling a successful voyage for more than a decade. He has 20 years of business experience and also handled major networking projects. Sri has a strong experience in IT Infrastructure services. His desire for IT industry and his ability to socialize made him a successful business leader. Apart from managing the company, Sri actively contributed in architecting TIRU which is the foremost product of Refulgence Inc. TIRU is created exclusively for temples, since he is from a traditional family associated with the SRI VARATHARAJA PERUMAL TEMPLE which was built by his ancestors. Sri entrenched a philosophy of radiance and customer focus at Refulgence Inc. His business leadership has been acknowledged by several corporate organizations. He holds Bachelor of engineering in Electrical & Electronics from Coimbatore Institute of Technology.